For the last week we have been running one of the new UNIDEE modules at Cittadellarte – Fondazione Pistoletto, titled Where Imagination Slips into Reality. 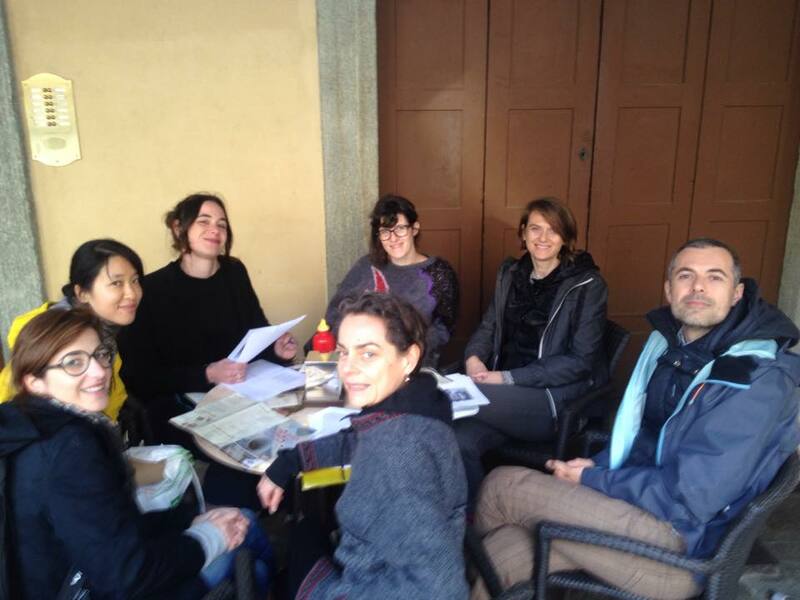 Starting from our own work and expanding projects developed by other practitioners in the artistic and cultural field, the module explored the transition from temporary artistic interventions, via larger urban imaginations, to interventions that clearly step beyond the field of art. What these projects and practices have in common is a search for a shared creation, different models of governance, and intense participation of communities in various, essential aspects of a life in common. With participants we explore what are the motives to embark on such endeavours, but equally what are the toolsets we can work with, and which the potential of such approaches. Can our imagination consciously and with determination be transposed into reality? And importantly, what sort of society do we strive for through this? Participants: Abigale Neate Wilson, Jeannette Castioni, Katia Daniela Greco, Mako Ishizuka, Marta Colpani and Aya Kirresh.